At a networth of $400 million, Tyler Perry, writes, directs, produces, and stars in dual roles in his films taking in the lion’s share in profits. Photo credited to http://witchesbrew.com. A good comedian friend of mine used to make me laugh because he’d greet me by saying “Hey, Jamaican! How you doin’?” I’m not a native of Jamaica. So the funny part is my friend was merely teasing me because he seemed to always think I had so many independent projects in my hustle that I was behaving like a very hard-working Jamaican immigrant. So, I couldn’t help opening with this anecdote when I considered writing about the benefit of dual roles in low-budget indie films. Anyone with a couple million dollars in the bank to make a low budget film may feel like they’ve hit the jackpot preparing for a SAG-AFTRA feature. However, even before the cameras get to action, much of the budget is already spent. When trying to figure out different ways to shoot a movie on a shoestring budget, never underestimate the power of dual roles. Whenever I see a movie with dual roles, I immediately consider how smart the actor is as well as the producer. The actor has the opportunity to earn more on the back end. 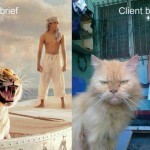 However, the producer, can earn more on the back end, but also can save on the budget. The cost of feeding multiple actors, paying multiple actors, sharing profits with multiple actors, and generally pampering multiple actors is offset by the cost of talented make-up artists, hair stylists, and wardrobe crew. Just ask Eddie Murphy and Tyler Perry. They are both known for playing multiple dual roles in a string of movies. Eddie Murphy has played dual roles in Coming to America, Norbit, The Nutty Professor, and Bowfinger to name a few. 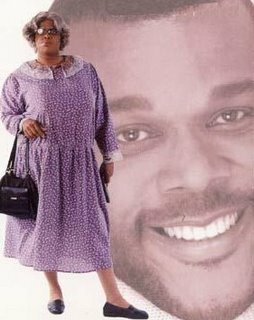 Tyler Perry has scored big hits playing dual roles in his well-attended Madea movies where he cross dresses as Madea but also plays the character of Madea’s brother, Joe, and Madea’s nephew, Brian. Undoubtedly, their checks stay fat! John Noble who played a dual role on Fringe reportedly stated he received no extra pay for playing a dual role since he played different versions of the same character. However, many actors opt for lucrative profit-sharing deals over higher salaries during shooting. in 1989, Jack Nicholson reportedly accepted $6 million upfront for his role in Batman rather than his regular A-list $10 million. Reportedly, he also entered into a profit-sharing deal to offset the shabby upfront earnings. Since Batman earned more than $500 million worldwide (adjusting for inflation), Jack Nicholson may have pocketed $50 million for playing a single role. Not so shabby! Dual and multiple roles can be even more lucrative under the right conditions. By accepting a lower salary during shooting, they can share in a film’s total earnings which may significantly increase their earnings. Profit sharing contracts are usually engaged in by principle actors and key crew. So, actors that are playing a dual role, can definitely share in more of the profits than an actor playing a single role. 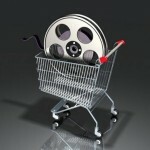 The more money a producer saves on the budget, the more profitable the movie will be in the long run. When the net earnings are tallied, there will be more profit to pass around and an actor playing dual role or multiple rules will get dealt profits more than once from the same pot. Coincidentally, as I was inspired to write this post when I came across a blog of a young Asian girl who has been able to use make-up techniques to transform herself into at least 13 different characters as of the date of this post. This girl beat her face so talentedly, in some of the photos, she doesn’t even look Asian. Not convinced? Check it out for yourself here. Assuming anyone who can transform themselves so in such a believable manner, and possesses mad acting skills, there is a definite possibility to make a more profitable movie and keep everyone happy at the same time.